This mini-seminar details the various devices and tools that can be used for personal safety. 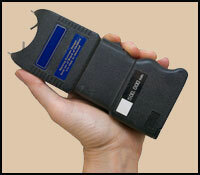 These devices can possibly save your life or the life of a loved one. Knowing the functionality of various personal devices gives insight to their effectiveness, strengths, and weaknesses. In fact, these same devices are also used by predators. Knowing their functionality will better prepare you on how to protect yourself as well as how to use them. You owe it to yourself to not only protect yourself in every way possible when facing threats against your life and well-being, but also to practice safety-sense before using self-defense. This can be accomplished by using the appropriate personal safety defensive device. By educating students on how predators use these same devices to victimized and commit crime, will better prepare students.